While Uachtarán na hÉireann Michael D Higgins will contest October's presidential election as an Independent, his former colleagues in the Labour party in Galway West have pledged to "campaign vigorously" for his re-election. In a statement, Mayor Niall McNelis, Cllr Billy Cameron, and Galway West party chair, Dr Andrew Ó Baoil, said they welcomed Uachtarán Higgins formally submitting his nomination papers to seek a second term in office, and that they would be "proud to support him once again", as part of a "broad coalition". "President Higgins has been a voice for compassion, for justice, and for dialogue," the three said. 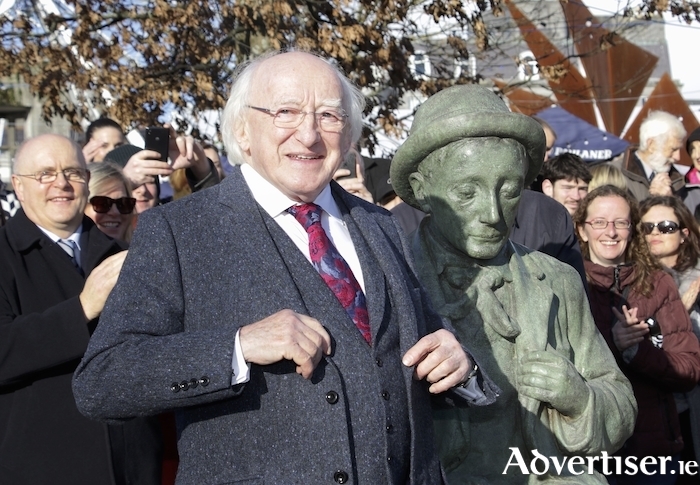 "He is someone of whom the people of Ireland, and in particular Galway, can rightfully be proud. Much of the importance of the presidency rests in its symbolism, the values the incumbent chooses to embrace. Like many Irish people, we have been been inspired and encouraged by the manner in which President Higgins has articulated, and embodied, a commitment to inclusivity, care, and critical engagement with the world around us."